The ancient science of Ayurveda has its origins in India, with a history that dates back thousands of years. 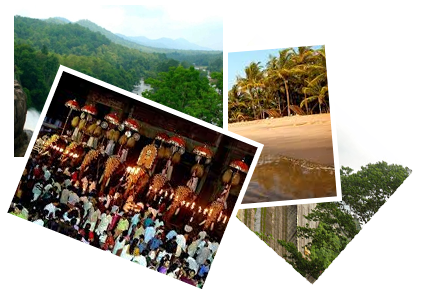 The state of Kerala stands out prominently in the backdrop of India’s rich Ayurvedic tradition. Centuries have passed since the various Ayurvedic treatments and food habits have become an integral part of the Keralite lifestyle. This is so because Ayurveda is not simply a mode of healthcare in Kerala, but also a fundamental approach to life. You can find hundreds of herbs with medicinal properties in the courtyards of Kerala houses. The easy availability of such variety of herbal medicine in Kerala has facilitated the development of several unique medicines and treatment methods over the years. The rainy season, from June to September, is the ideal time for Ayurvedic treatments because the atmosphere remains cool, moist, and dust free. This opens up the body’s pores, making it receptive to herbal oils and therapy. Westfort Ayurveda Hospital, a subsidiary of the Westfort Hospital Group, Thrissur is the number one hospital in Kerala, which provides best in the field of ancient Kerala Ayurvedic treatment.